Five leading packaging companies in North America and Europe announced on May 2 the intention to combine in order to operate as one global leader under the banner of Exopack Holdings Sarl, a new Luxembourg company.According to the announcement, the combined business will have 63 plants, 8650 employees and aggregate revenues of more than US$2.5 billion, making it the sixth-largest plastics packaging company in the world. Joining Exopack, a US-based producer of flexible paper and plastic packaging, and advanced coatings, will be four leading companies based in Europe: Britton Group, a flexible plastic packaging manufacturer; PACCOR, the second-largest rigid plastic packaging company in Europe; Kobusch, a producer of tailor-made flexible and rigid packaging systems; and Paragon Print & Packaging, a leader in private label packaging solutions in the UK. 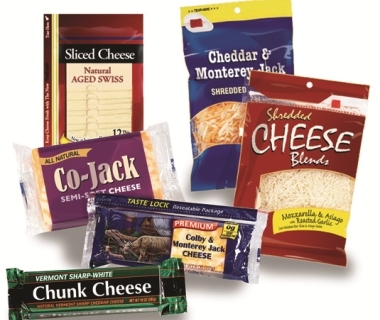 All five packaging companies are affiliated portfolio companies of Sun Capital Partners, Inc. The brand names of the five businesses would remain in use by the Combined Company.The Combined Company is to be led by Jack Knott, serving as CEO. Mike Alger will serve in the capacity of the Company’s Chief Financial Officer; Dieter Bergner will be CEO of PACCOR (Global Rigid business); and Michael Cronin joins the team as CEO of the Global Flexibles business. “This combination represents a natural next step in a process that began eight years ago to create a global packaging company with a solid foundation for future growth,” said Marc Leder, co-CEO of Sun Capital Partners.